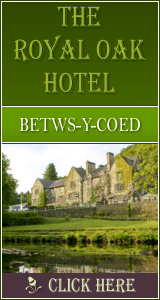 A comprehensive selection of accommodation throughout Snowdonia North Wales including Bed and Breakfasts, Guest Houses, Countryside Farmhouses, Inns, Mountain Hotels, Lodges, Beautiful Country Houses and even a Castle or two! Or, if you prefer to go self-catering or stay in a summer holiday static or Mobile Caravan site or Tent, there's lots of choice there too. Most accommodation has been quality graded and approved by the Welsh Tourist Board, so you can be assured that your holiday will a comfortable one.